Al Fahidi Street, Opposite Dubai Museum, บูร์ดูไบ, ดูไบ, สหรัฐอาหรับเอมิเรตส์, 46500, Dubai, U.A.E. 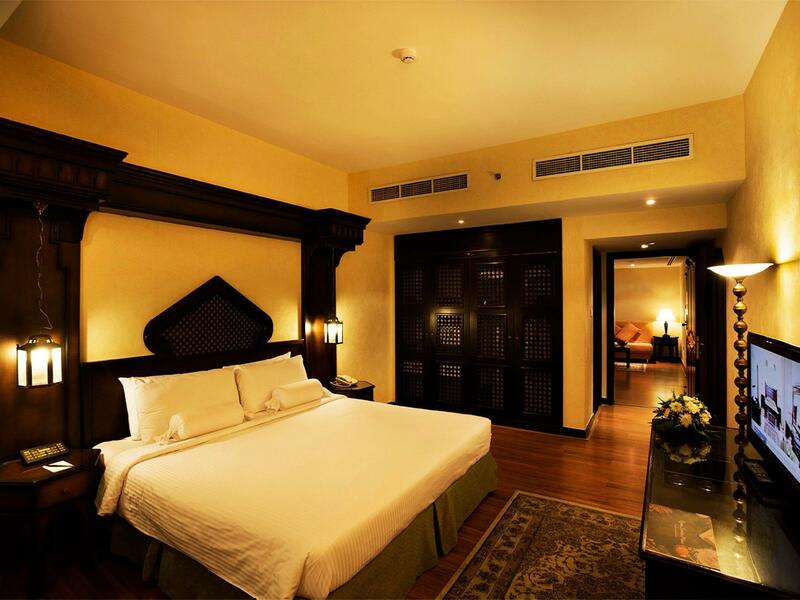 This hotel is in the most historic part of Dubai, which is a good central location. It is decorated in old Arab style. 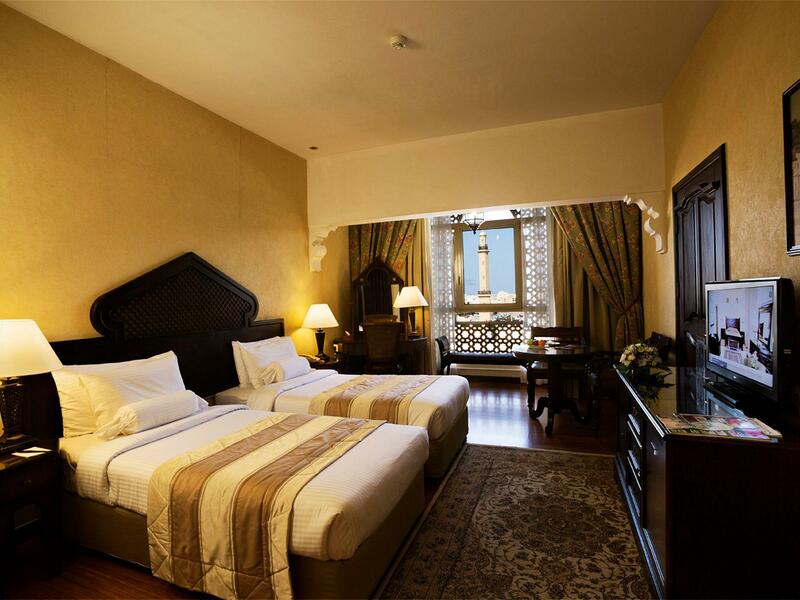 The rooms are very large and spacious. In the area there are many small Indian shops and restaurants, with a good all purpose restaurant situated virtually next door. I found the staff to be extremely good and helpful and the breakfasts offer a wide and copious choice. This hotel represents very good vale for money. There are only one or two front desk staffs, so wait for a long time to check in at rush hour. The location, is good, staff are smiling warmly, breakfast is good. Price reasonable. Will definitely choose here again. Very good location with a lots of happening places for just walking distance. Easy to Metro station connection. I like the interior (Vintage touch) setup. Rooms are old and dirty with dim lighting giving the room a depressing feel. Breakfast was chaotic and poorly organised with lack of plates and cutlery. Not enough space to accommodate all the guests. The quality of food was also very poor. The management didn't try to help with the service and they seem understaffed and they have taken on too many guests. For the money I paid I expected better rooms and food quality. Won't be staying here again. Also the location is too far from downtown which makes it difficult to commute. Great Hotel, as i stayed lot of times before and always consider to stay in this hotel as first preference, whenever i visit dubai , whether its a solo trip or with my family! Great Management and Superb team. I like the hotel, location wise and facility wise. Such lovely, lovely staff. 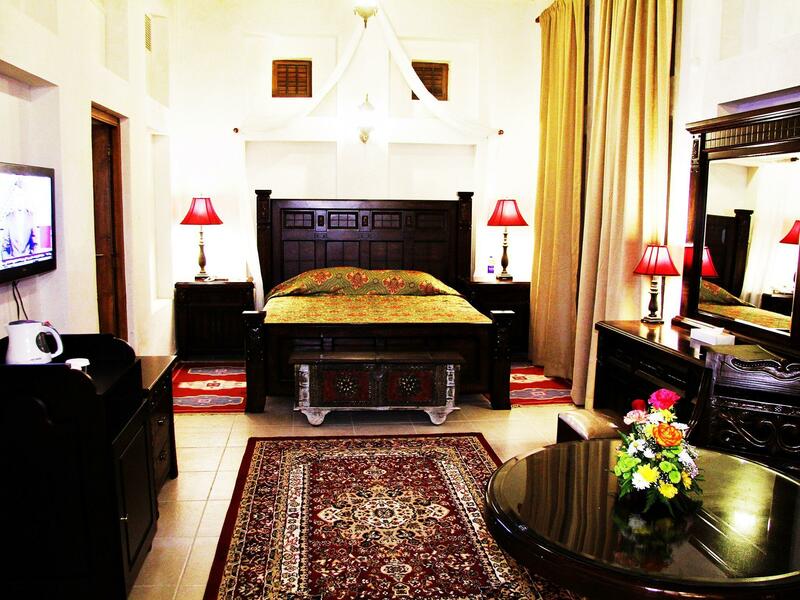 Beautiful old building and really spacious rooms. The on-site restaurants are really good. The staff adored my five year old daughter and were just so kind to her. Really great spot and we’d definitely return. Located opposite the Museum in the old part of town , it is ideal for exploring the heritage areas. My heritage room was extremely comfortable with everything I needed and then some. The pool area is most pleasant and there are several restaurants on site. The most outstanding asset is the staff. They are friendly and most helpful - nothing was too much trouble. I thoroughly recommend it and would not hesitate to stay there again. 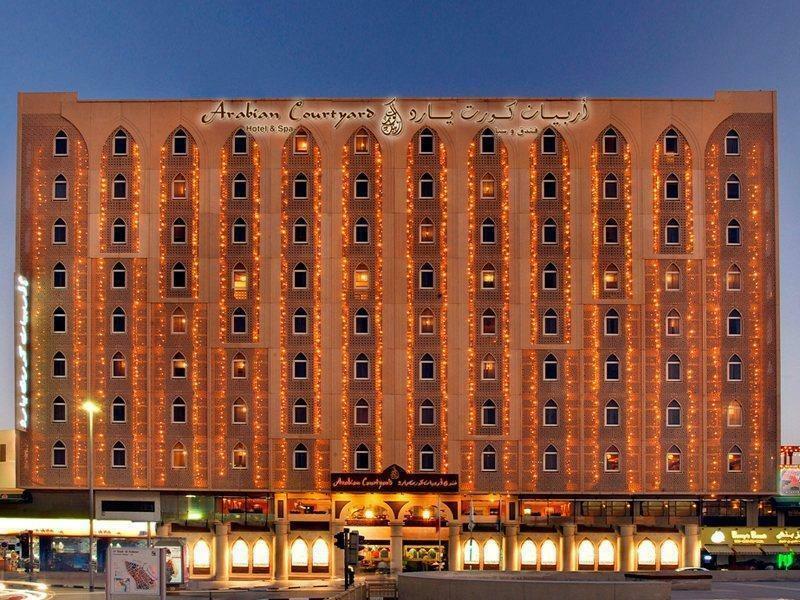 This is the second time we are staying at Arabian courtyard and spa hotels and this time I liked it much better. The room we got had a view of the museum and creek and that was lovely. Breakfast options are very nice and thestsff are friendly and smiling. I think the bathrooms could do with an update as they look old and not too clean. We loved the hotel and would definitely stay there again. Apart for a couple of hiccups like the desk service forgetting to wake us up when we asked them and giving us a room with one bed instead of two, we enjoyed everything else. The staff were helpful in organising the tours and activities. The subway is 10-15 minutes walk from the hotel and there are many local restaurants and shops around the hotel. There is a Dubai Museum across the street, the Old Bazaar (Sook) a few minutes walk from the hotel, and a Water Taxi station if you want to cross the river to go to the Gold or Spice Bazaars. near gold market. clean hotel and friendly staff. the stay at the arabian courtyard was very soothing. the hotel is clean and beautiful and have good breakfast. the staff is friendly and helpful. it is situated near many shops and we can walk around to restaurants and shop at the gold market easily. overall i would recommend others to try this hotel. it is worth the value. We really love the hotel. Its cleanliness is fantastic. The staffs are very friendly and helpful. 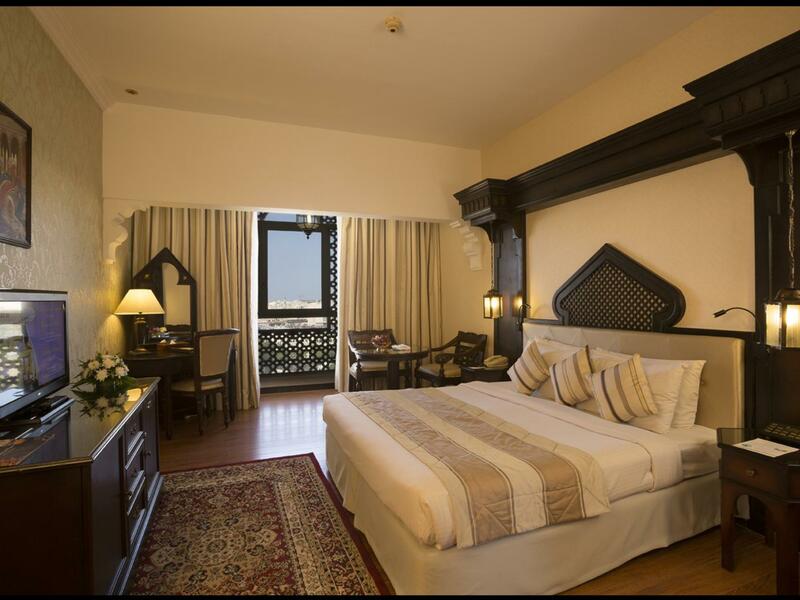 Its located very near to major tourist attractions in Bur Dubai. Within walking distance to Bastakia Quarters, Dubai Museum, Textile souk, take Abra and you reached Deira, where the gold and spice souk are located. Fantastic! We requested for a late check in and was quickly served by the reception.Was informed by the staff of the service that they provide-can arrange taxis and can buy tickets for the Big Bus Tours.The room is very Arabic which we like.We were having our Honeymoon so was given a complimentary small round cake.Room was spacious and the bed was very comfortable.However, the bathroom is quite small.This hotel has the best location ever-we are able to walk to the Dubai Museum,Bastakiya,abra station and textile souk. สถานีรถไฟใต้ดิน Al Fahidi - ระยะ 0.51 กม.